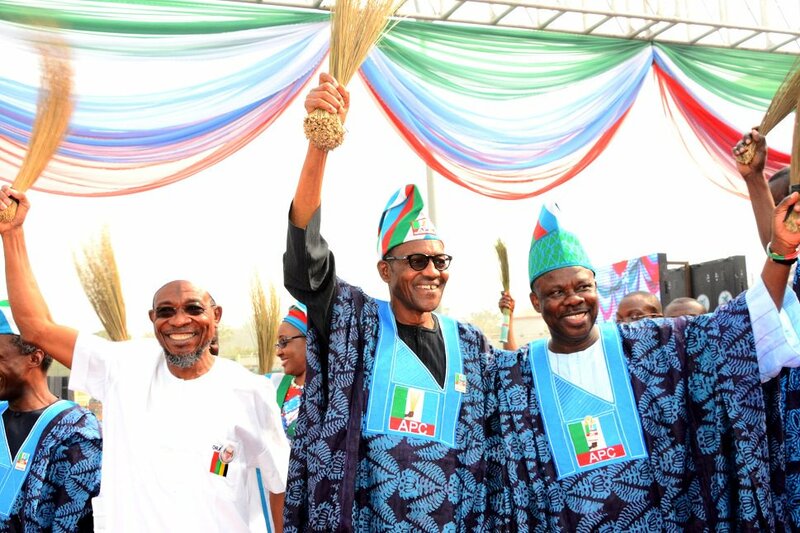 President Muhammadu Buhari of the All Progressives Congress (APC) has emerged winner of the presidential election in Ogun State by defeating the candidate of the main opposition party, Atiku Abubakar of the Peoples Democratic Party (PDP). In the result declared at the Presidential Election Collation Centre located inside the Ogun State headquarters of the Independent National Electoral Commission (INEC) on Monday, by the Collation Officer, Professor Joseph Fuwape, the Vice Chancellor of the Federal University of Technology, Akure (FUTA), Buhari won in 14 local government areas, while Atiku won in 6 local government areas. In the final result as announced by Prof. Fuape, President Buhari polled a total votes of 281,762, while his close rival, former vice president Atiku, polled a total of 194,655. These results, according to the Returning Officer, were obtained from a total votes cast of 602,938, valid votes cast of 564,256 and rejected votes of 41,682. Breakdown of the results showed that Buhari polled highest number of votes in Ijebu Ode, Sagamu, Ijebu North East, Egbado South, Egbado North, Odeda, Obafemi-Owode, Abeokuta North, Ikenne, Abeokuta South, Ado-Odo/Ota, Ewekoro, Ifo and Ipokia local government areas, while Atiku won in Remo North, Ogun Waterside, Ijebu North, Imeko-Afon, Odogbolu and Ijebu East local governments areas.